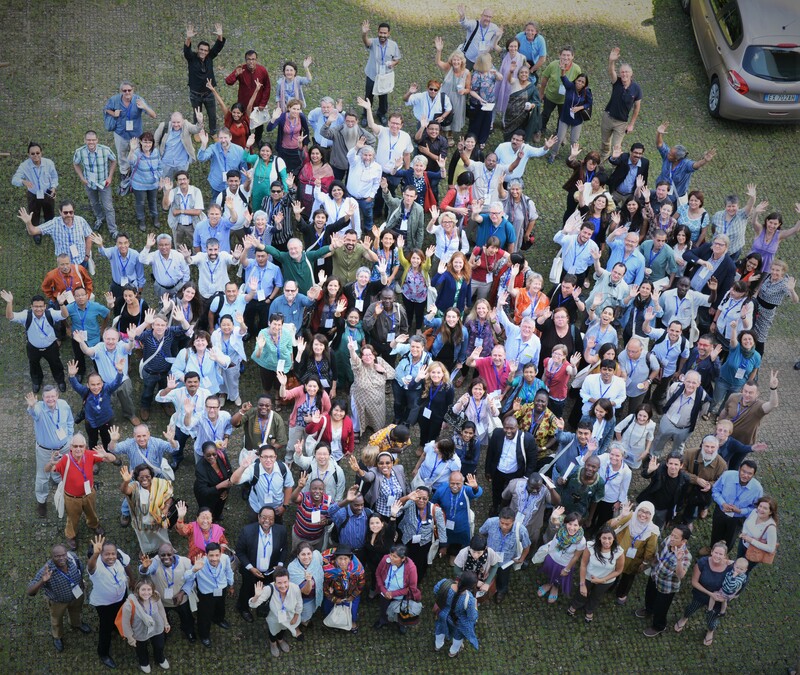 Only 10 days left to register to the WFTO-E Biennial Conference and WS meeting! Let’s celebrate the human chains together! The WFTO-Europe Biennial Conference is quickly approaching and for those who have not done it yet, it is now the time to register and to confirm your participation to it. As already stressed several times, this is a key event for our network to meet each other and to discuss all together the way ahead for our organisation. This year more than ever your participation is of utmost importance. We are looking forward to hearing your voice and your thoughts regarding the WFTO-Europe strategic plan and to foster fruitful discussions on our network and its future. The World Shops Associations meeting – which will take place on the 2nd of June 2016 from 9am to 12am. The WFTO-Europe Annual General Meeting (for members only), where all the legal documents and final decisions are taken (approval of provisional budget 2017, accounts 2015, strategic plan, work plan, new members of the Board…). Please note that according to our Constitution and Bylaws (as amended in the last AGM in 2015) only effective/registered members have the right to vote. Therefore, members who are still provisional or have not paid yet the Global and regional membership fees 2016 cannot vote. Should you have any doubts regarding your status, please do not hesitate to send an email to administration[at]wfto-europe.org. Draft programme, including information on how to get to the venue and the registration fees. WFTO-E strategic plan and strategic plan feedback form. We have recently sent you an email, asking for your initial feedback on the final version of the strategic plan. This document is the outcome of a long discussion started in October within the WFTO-Europe Board of Directors and is at the heart of the 2 days and half of the Conference. Hence, please check this document out and do not forget to fill in the form and send us your feedback by the 13th of May 2016. Ecopolis is the annual meeting for those who are interested in a sustainable future and host different writers, thinkers and other mayor figures from everywhere, to discuss about solutions for a possible social-ecological society. 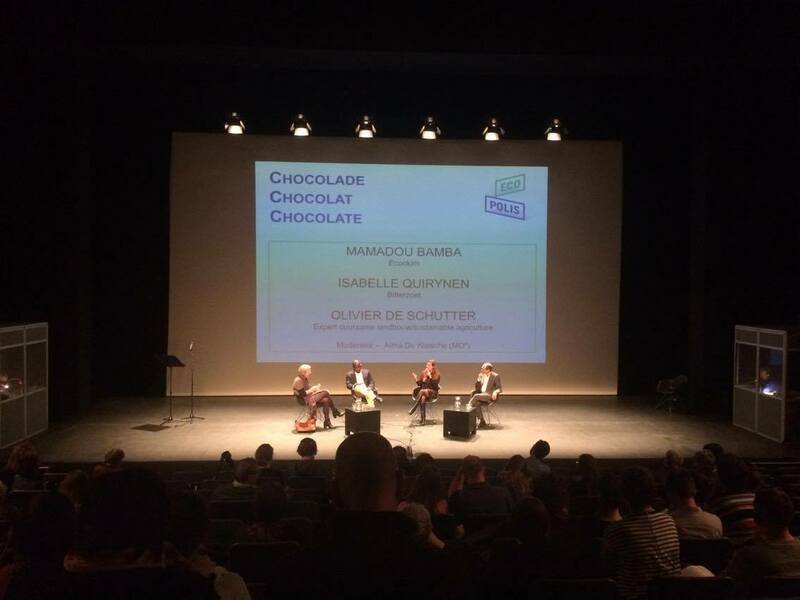 This year, the event took place on 17th of April in Kaaitheater in Brussels. It was focused on “chocolate”, one of the most requested and desired commodities worldwide, that in reality hides the weakness of its producers in global economic relations. Guests of the debate were Mamadou Bamba, director of “Ecookim” which is a union of eight cocoa cooperatives in Ivory Coast that work to improve the farming activities and living conditions of more than 2800 farmers, Isabelle Quirynen, who ran her own chocolate company, “Bitterzoet”,’ committed to Fair Trade principles and Olivier De Schutter, legal scholar specializing in economic and social rights and former UN Special Rapporteur on the right to food from 2008 to 2014. Cooperatives of small-scale producers were first controlled by governments and only from the eighties they started to be led by common people that through this tool gained voice in the international political field. One of the central problems that the experts brought to light is the need for more attention to the necessities of producers rather than to the one of consumers. Indeed, the international market is right now mainly focused on the desires of the latter, which means lower price for their products, instead of fairer conditions for those who harvest the commodity. This attitude leads only to a vicious circle where low prices generate low salaries and overproduction while the latter creates again low prices. Another important issue is that producer countries import their finished products like chocolate from Northern countries, losing in this way their opportunity to play a key role in the international trade. The challenge that cooperatives have to face are still several and changes in the system are necessary. During the debate, possible solutions to improve their conditions were presented. Among them, the idea to concentrate the all process within the product value chain in the producer country and to develop the local demand so that farmers would be less dependent from the global North. Second, because the business is dominated by few buyers there is a need to diversify these economies so that producers can develop alternatives and gain more access in the international market. Finally, in order to give added value to these products, there is a need for more investments in every single phase of the activities involved in its creation. For further information about the challenges that the world’s food systems need to face, read the final report of Olivier De Schutter to the Human Rights Council. Abstract: After the collapse of Indian Rana Plaza garment manufacturing centre in 2013, the public attention has focused more on people that work in the textile supply chain. The Fair Trade Advocacy Office just released two interesting studies about the topic, “Power in West African Supply Chains” and “Power to West African Cotton Farmers” that analyze the power structures and challenges in the Fair Trade cotton system in West Africa. Indeed, Fair Trade cotton production had a remarkable impact recently in these countries. 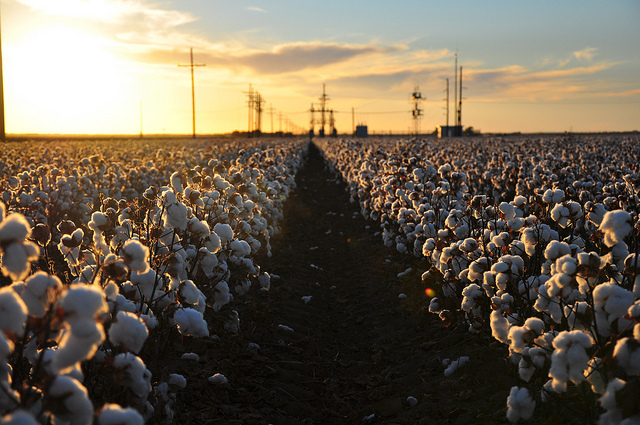 The system supported producers by managing the quality of cotton while the premium price earned was invested to improve their production techniques and their infrastructure. But despite these goals, sales have been slow to grow, compared to their Indian competitors that enjoy a better cost of production, inputs and logistic system. In most of African countries, the delivery time is still too long and there are problems with border checks and customs. Another important issue is that although farmers participate more in the governance of the cotton sector through producers unions and the regional body of the Association of Cotton Producers (AProCA), their power remains weak. As a matter of fact, they are still highly dependent from national big cotton companies, international traders and international NGOs and the lack of market information makes this dependency even stronger. Access to finance and pre-finance is also quite difficult and this undermines of course the possibility to enhance their market. But the main problem remains the fact that the Fair Trade small projects that farmers are pursuing are still focused on short terms goals like economic profit instead of long term business partnerships. So what we can assume from this overview of the Fair Trade certified cotton production in west-African countries is that the system is helping them to improve their conditions but more efforts have to be made. The study shows that at the local level, access to market information is needed so that producers can be more independent from external actors and control directly the cotton process, from its production to its trade. Second, more investments in producer associations, local institutions and cotton companies are needed, while much efforts from governments and regional legislation are necessary to focus on topics such as child and forced labor, health and safety in farms and factories, promoting also the remove of barriers to trade within Africa. Third, agricultural and cotton research institution should promote new sourcing programs to support sustainable farming practice as long term strategies and ensure in this way the future production and its competitiveness. At the international level, The European Union is trying to enhance the competitiveness, added value and viability of the African cotton sector through several partnerships with those countries and is launching a “garment initiative” to promote sustainable business practices. Even the G7 summit in Elmau (Germany) in June 2015 opted for sustainable global supply chains and agreed on concrete actions for implementation. Although these initial signs, more needs to be improved to encourage Fair Trade through, for example, technical and financial means both in trade and development policies. 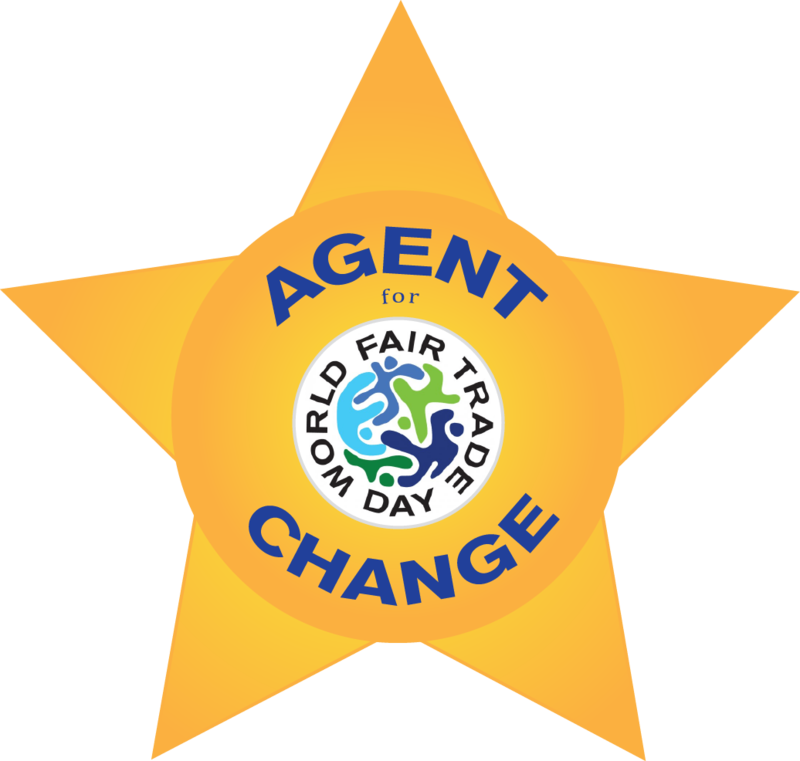 On this day we will encourage people to form human chains in all of their World Fair Trade Day celebrations and related events to highlight Fair traders as agent for change and to showcase Fair Trade as one of the tangible solutions in the fight against poverty, trade injustice and climate change. WFTO-Europe is planning to participate in two different activities this year, both organized in Brussels. We will participate in the final Conference of the Fair Share project taking place the 13th of May. The Fare Share project aims to set up and test an online e-learning platform to train different stakeholders regarding the different dimensions of Fair Trade. During the event there will be a presentation about the context, the pedagogical model and the platform and also an interactive workshop on how to use and sustain the platform in the future. After the event a “World Fair Trade Day” drink will be organized to celebrate the 14th of May and to take pictures of the “human chains”. The event is free and open to everybody. Therefore, if you are in Brussels, do not miss the opportunity to come and to join us. For further information regarding the event and the registration, please click here. Besides the Fair Share event we will also participate in a Fair Trade Fashion show organized in Ixelles, Brussel. During the fashion show the latest collections of Fair Trade fashion brands will be presented to the public. Everybody is more than welcome and the entrance is free. Please find the poster with more information on the fashion show here. This will be another opportunity to raise awareness about the WFTDay and to encourage people to take part in our social media campaign on “human chains as agents for change”. Please do celebrate this day with us and let us know what is your plan for the WFTDay by uploading your activity on the WFTO calendar and keeping us informed at administration[at]wfto-europe.org. This year the 10th International Fair Trade Towns Conference will take place in Baskinta, Lebanon, on the 3rd and 4th of July. In The Fair Trade Towns Campaign communities are promoting Fair Trade in Their Area in order to get more farmers and workers a better deal. In March the new website of this international campaign went online. On the website you will find information, news and events related to the campaign and the latest campaign actions. It is also possible to visit the International Campaign its Facebook and twitter page where you can follow the latest news on the Fair Trade Towns Campaign. If you are interested in the campaign on a national level you can have a look at the website of the International Fair Trade Towns Campaign, here you can find under the section contacts all the national coordinators and national websites on the campaign. Please find the link to the website here. 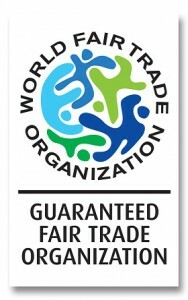 We are proud to inform you that right now 34 Organizations successfully passed through the WFTO Guarantee System and therewith reached GUARANTEED/REGISTERED member status. At the regional level, WFTO-Europe is processing 5 monitoring applications while we are managing 14 new membership requests. We are sorry to say Goodbye to one of our historic member Equomercato, and we hope to see them back in our network in the future. We would like to inform you that WFTO-Europe had successfully passed the audit of its 2015 accounts. We are also pleased to Welcome our new Communication and Membership & Monitoring Assistant intern Veronica Ricca! The minutes of the last Board meeting held on the 21-22th of January in Paris and on the 9th of March via Skype are now available on the website. The next meeting will take place on the 19th of May via Skype. The FTAO’s Internal Advocacy Bulletin for April 2016 (login required) includes articles on ‘Policy Issues’, FTAO News and more! Food Navigator: Separating facts from fantasy: What’s the future for ethical labels?